How to make the cake? 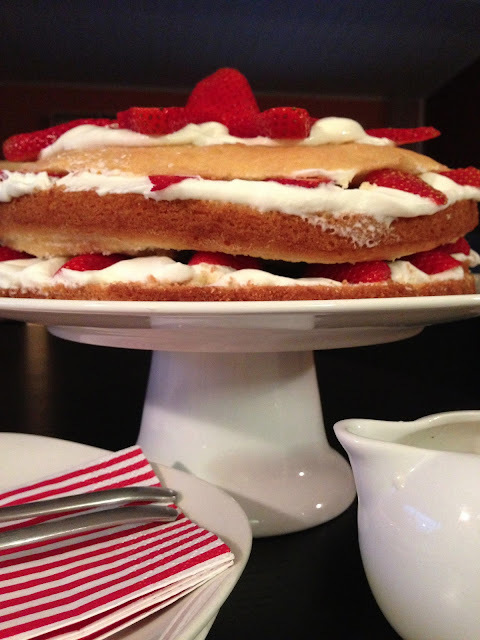 Pour into pan and bake for 25-30 minutes or until toothpick inserted in center of the cake comes out clean. 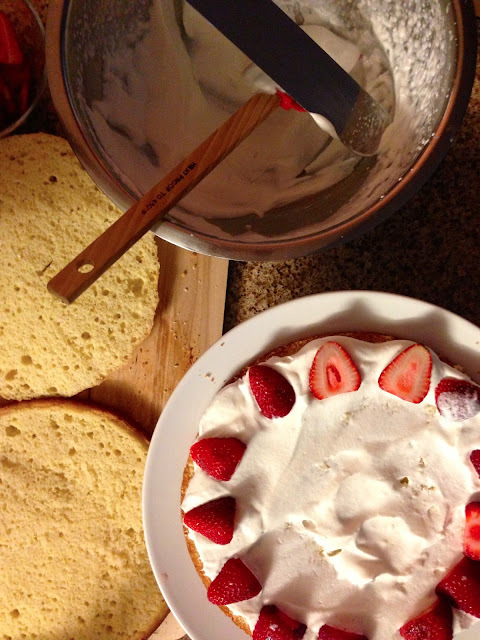 Now it's time to assemble your cake; start with the bottom layer of your cake and cover with whipping cream then topped with slices of strawberries, repeat this until you're done with all the layers & Enjoy!